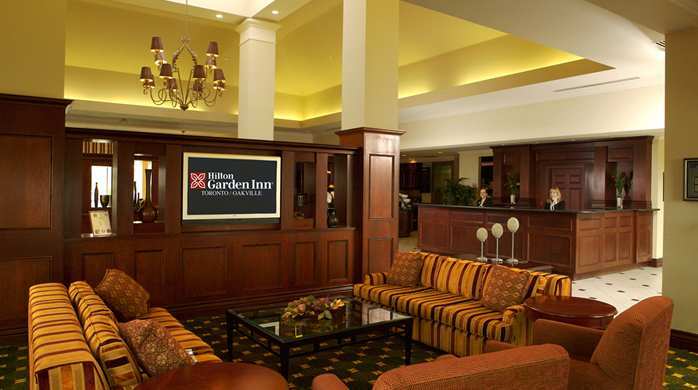 Choose a spacious, comfortable guest room or suite at the Garden Inn Toronto/Oakville hotel. 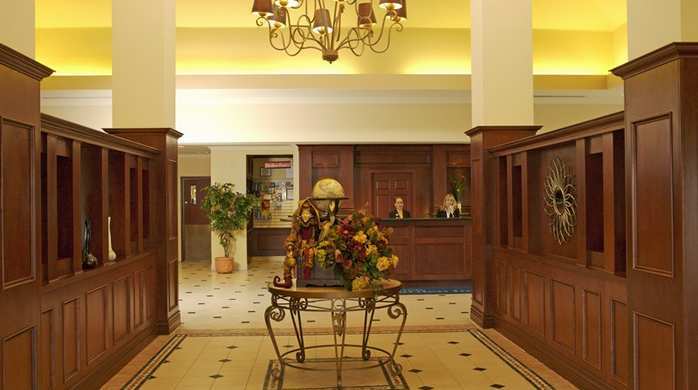 Located 15 minutes from Toronto Pearson International Airport, the hotel is a great choice for business travelers and guests who want to explore the scenic surroundings. Our patented Garden Sleep System® beds are designed to give you an exceptionally restful night's sleep, and complimentary high-speed internet access in your room means you can contact loved ones or stay in touch with the office. Take advantage of complimentary access to the 24-hour Business Center. Exercise in the complimentary fitness center and pool. Start the day with a delicious breakfast in the Great North American Grill® restaurant, and order room service if you're busy. • A freshly prepared breakfast is offered daily in the Great North American Grill™ restaurant. An exceptional dinner menu is also available. 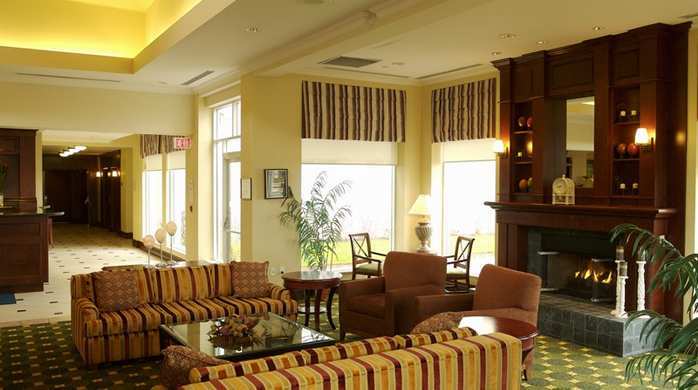 • Our Pavilion Lounge is quite cozy and has a 52 inch Plasma Television and Fireplace for your enjoyment. Enjoy beverages, served nightly in the Lounge and Restaurant. The hotel is fully Liquor licensed. 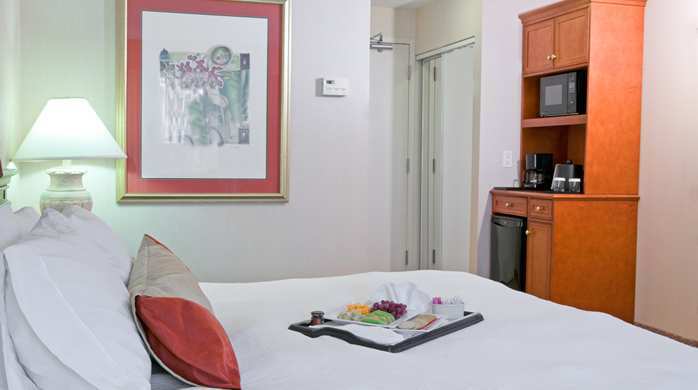 Everything you need for a great night’s sleep is in your spacious Garden Inn guest room. Recline on the patented Garden Sleep System® bed, available as one king-sized or two doubles with plump feather pillows and luxurious linen. 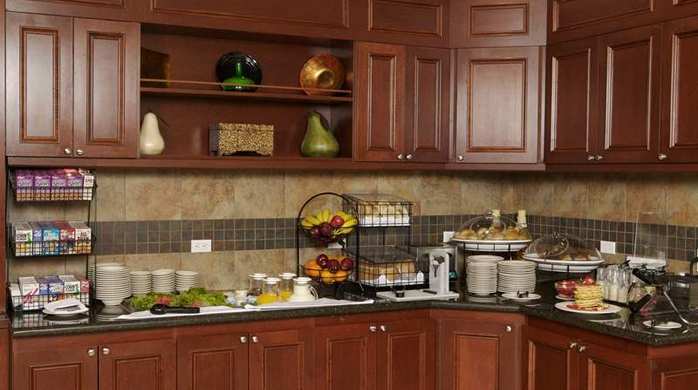 Enjoy the comforts of home with your in-room hospitality center, containing a refrigerator, microwave, and coffee-maker. Relax in front of the LCD TV with on-demand video and complimentary HBO. Use the large desk and complimentary high speed internet access to stay productive. Work, rest, or entertain in a spacious Suite. Each suite contains two televisions, a dining table, and a love-seat that becomes a sofa bed, making it ideal for families. Guest Rooms One King Bed with sofa some with pullout bed or two queen beds, 37" Flat Screen Televisions, large work desk with Herman Miller Chair, complimentary high speed wired and wireless internet access, remote printing accessibility, two line phones, hospitality centre with mini-refrigerator, microwave, coffee maker, hair dryer, individual climate control. 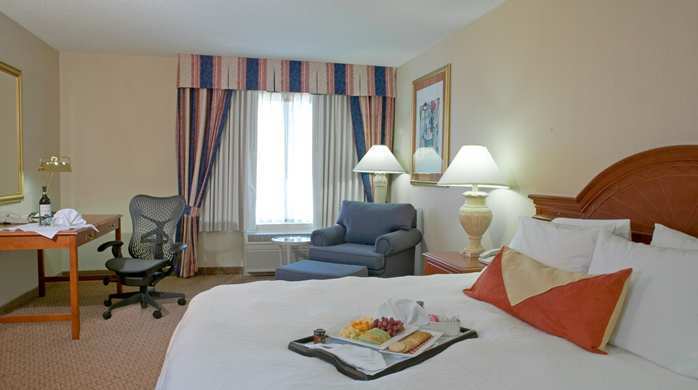 Suites One King Bed or Two Queen Bedded guestroom suite with a separate living area, two televisions plus all of the features of a standards room. 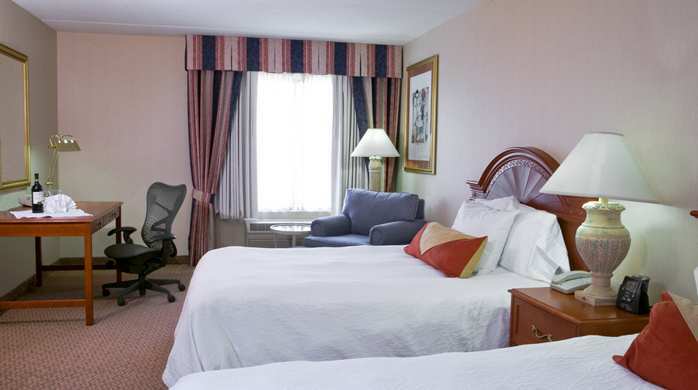 Accessible Rooms There are 2 rooms with 2 queen size beds that are wheelchair accessible. They are both non-smoking rooms. One is on the first floor and the other on the second floor. The corresponding photo may not reflect the specific accessible room type or room feature.